Will Austrian parliament back the 'security detention' amendment to the constitution? Austria's right-leaning government announced on Monday its plans to hold asylumseekers in so-called preventative ''security detention centers'' in case they are deemed as posing potential threat to the public security. Sebastian Kurz's government wouldneed to push for a constitutional amendment in order to legally detain asylum seekers without first securing a court order. In order to hold someone in preventative detention, authorities would need to have concrete suspicions that the person could carry out, or planned to carry out, a specific criminal offence, Chancellor Sebastian Kurz told reporters. Kurz added that the detentions would also be subject to judicial review, the Süddeutsche Zeitungnewspaper reported. In order for Kurz's plan to pass, the constitutional amendment would need a two-thirds majority in parliament — a prospect that seems uncertain, as his conservative coalition would need to win support from the opposition. 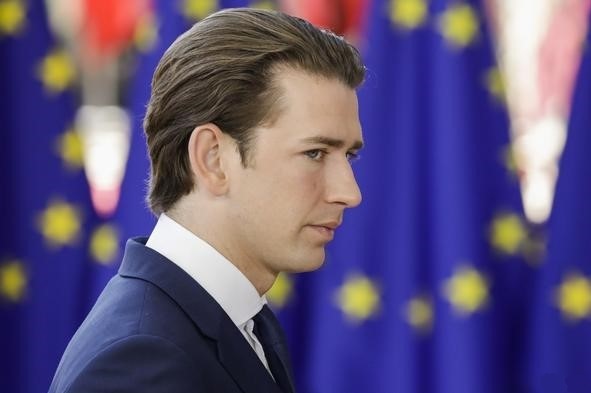 Kurz rejected criticism of his government's plan and brushed away concerns over rights by saying: "We don't need skepticism."